Using a smartphone is the easiest way to book and get trip instructions on the go, but you can still use Car Next Door without a smartphone. Having a smartphone is highly recommended as it makes booking, finding and accessing the cars ridiculously simple. It is always a good idea to ensure you have a fully charged mobile phone before you start your Car Next Door journey. 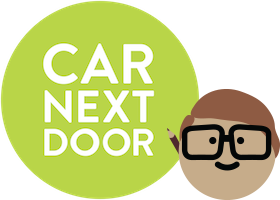 You can still use Car Next Door without a smartphone. 15 minutes before your trip starts, you'll be emailed all the details you need for your trip. Log in on a computer within 15 minutes before your trip starts and go to "Trips" and select the relelvant trip to see the car's real-time location on a map. To get a lockbox code at the end of your trip, log in to the website on a computer and generate a new code. If you can't log in on a computer right now, give us a call on (02) 8035 8000.